With a mere hours left until Samsung unpacked event at Mobile World Congress, all eyes are on what Samsung have up their sleeve for the Samsung Galaxy S5, and a last minute leak confirms that there will in fact be two Galaxy models unveiled. Rumours have hinted for a while that the Galaxy S5 may actually be comprised of two models rather than the standard single flagship device we’ve been used to. 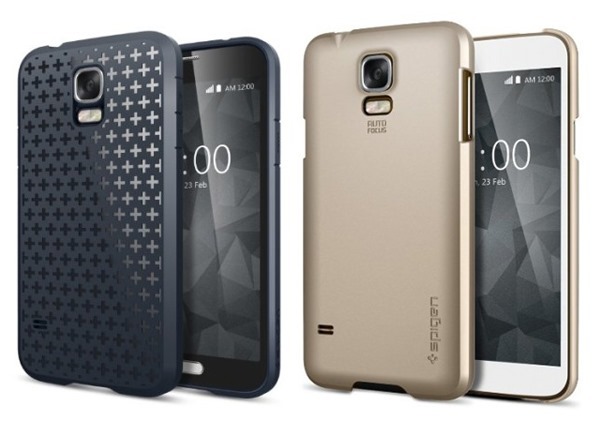 An Amazon listing seems to have confirmed this speculation by revealing its range of Galaxy S5 cases prior to the announcement, and in doing so has suggested that there will be a separate Prime and Standard model of the Samsung Galaxy S5. The Prime model is said to be the high-end device which will demonstrate specs that will easily make it the fastest and most impressive device currently on the market. Apparently the Prime Galaxy S5 is aimed at U.S customers, with the lower-end Standard model coming to Europe. According to various sources, the Prime model could also be a few months away from release, with Samsung choosing to release the Standard model first shortly after MWC, making the consumers wait anxiously for the powerhouse handset. Will there be two Samsung Galaxy S5 models? The recent leak, however, seems to suggest that the Prime will infact be released fairly imminently, contrary to what we’ve previously heard. The certain aspect of all this is that Samsung will unveil the Samsung Galaxy S5 next week. Whether that will be two separate devices and what the respective specification of each and respective release date and pricing for the two speculated models, remains to be seen. With MWC already underway, and the Samsung annoucement only a few hours away, it couldn’t be a more exciting time to keep your eyes firmly focused on Samsung to see what they have to offer.